It is unusual now as well as back in the fifties for a custom car to change hands many times, yet remain in the same city where it was originally built. The ’41 Mercury convertible that I was fortunate enough to own from 1960 to 1962 was customized in Everett, Washington in 1948. 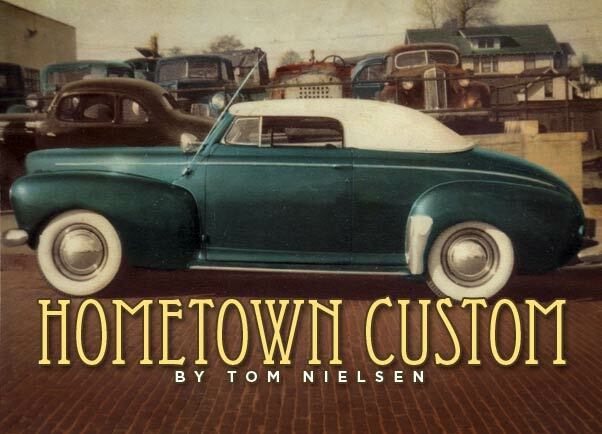 The custom convertible passed through six owners, all Everett guys, before I (Tom Nielsen) bought it in 1960. I would like to share some of the story of this full custom and how it came to be an Everett car for so long. It is also worth noting that from ’48 to ’62 the car was kept in good condition and not altered a great degree from its traditional custom origins. 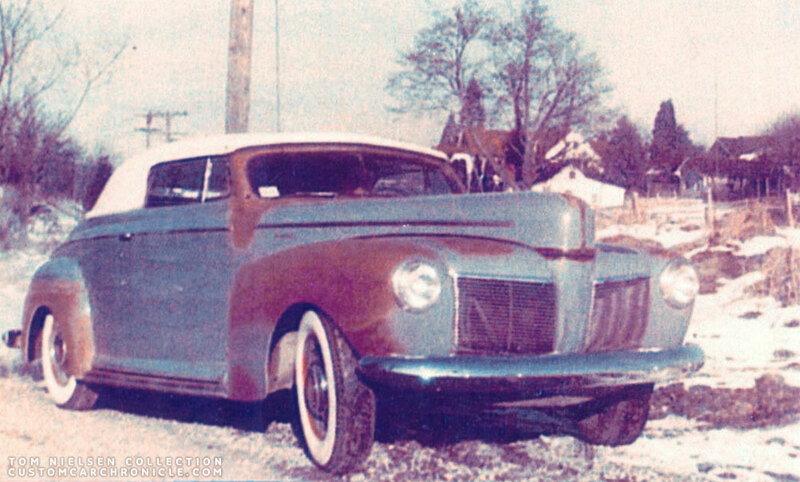 When Dale Runyon originally customized the Mercury it was only a seven year old car. 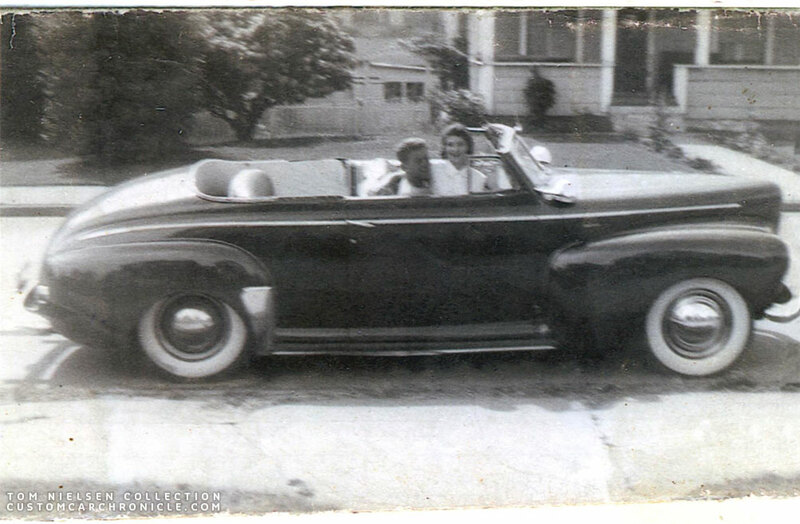 He had made a deal with another Everett resident that liked Dale’s chopped and Carson topped 1941 Ford convertible better than his own stock ’41 Mercury convert. 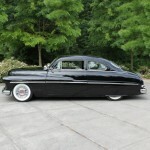 So Dale then chopped the Mercury and added a Carson style top and built it similar to the ’41 Ford. Dale customizes Mercury while working at Les Logge’s body shop in East Everett. Hand colorized photo parked in front of Kosher’s Auto Wrecking. 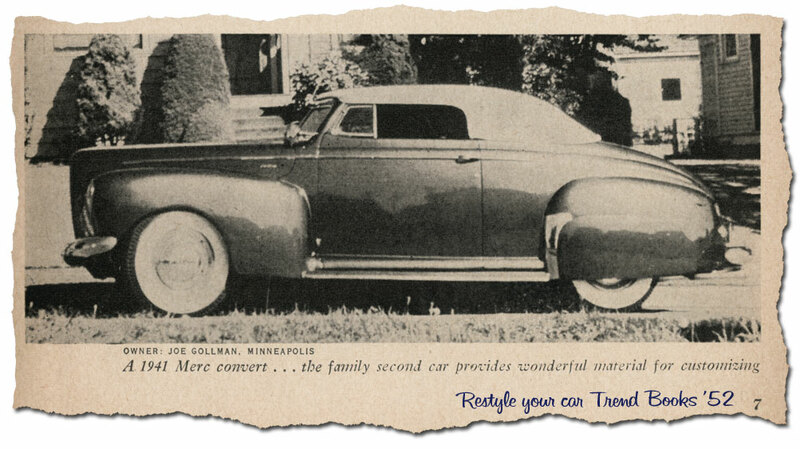 The ’41 Mercury even made it in the Restyle your car booklet published by Trend Books in 1952. The owners name, Joe Gollman was right, but they were wrong on the city, it sure was Everett, not Minneapolis as it stated. When he had the car finished and painted Dodge Gypsy Green he sold the car to another Everett guy named Joe (Gollman) who had enough cash to convince Dale to part with his classy looking custom. The interior was stock at this point but Dale had chromed many of the interior pieces including the dash. Joe hopped up the flathead a little and added fender skirts. I have been told that the ’41 had blocked heat risers that gave it a wicked set of “pipes”. The car changed owners several more times between 1950 and 1956. 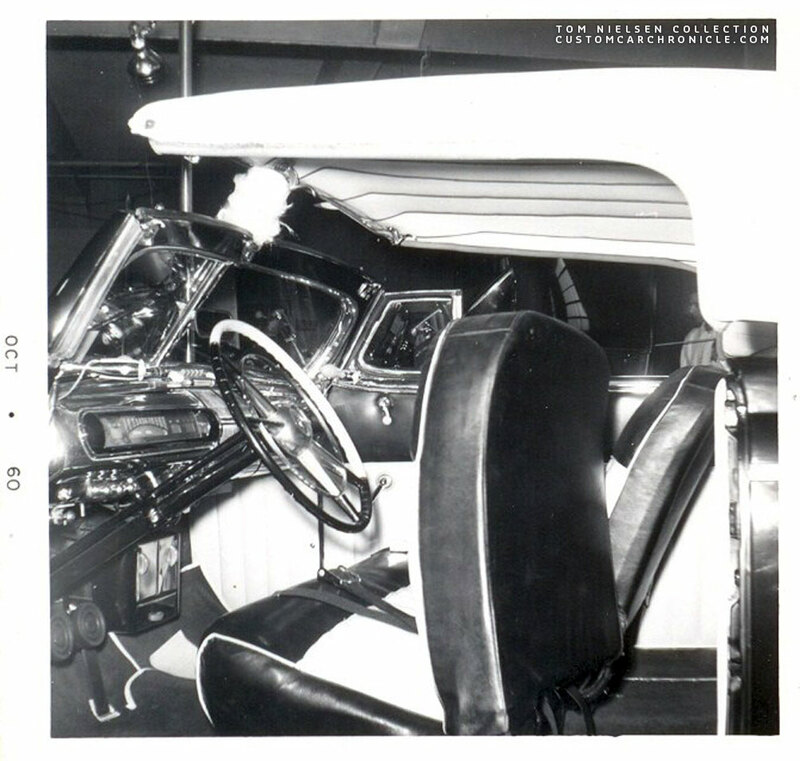 During this time a custom black and white rolled and pleated interior was added. The Mercury was a regular sight around town from 1950 to 1955 according to some of the early car fans. Freshly painted Merc parked in front of Dale’s home. On Hewitt in Everett after dale finished the car in 1949. New owner Joe with the Mercury, notice the addition of skirts and Dale’s first chopped ’41 Ford parked in front. 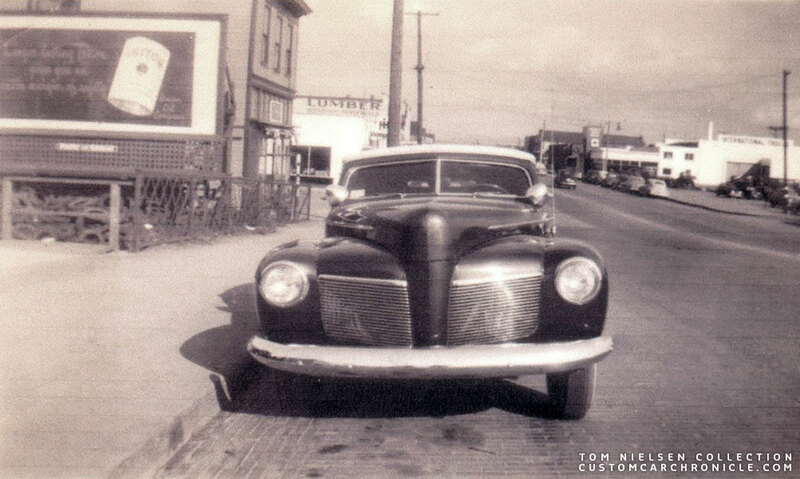 Taken by Vince Ostland when he owned the car in the early 1950’s. Vince enjoys his custom with the Carson top removed for a nice day about 1953. The car passed through several more owners who enjoyed the unique custom convert which always got lots of attention. When Roger Bedell bought the convert about 1955 the car had been around for a while and it was in need of some maintenance. I know that it was very fortunate that he was the one who purchased the Merc. 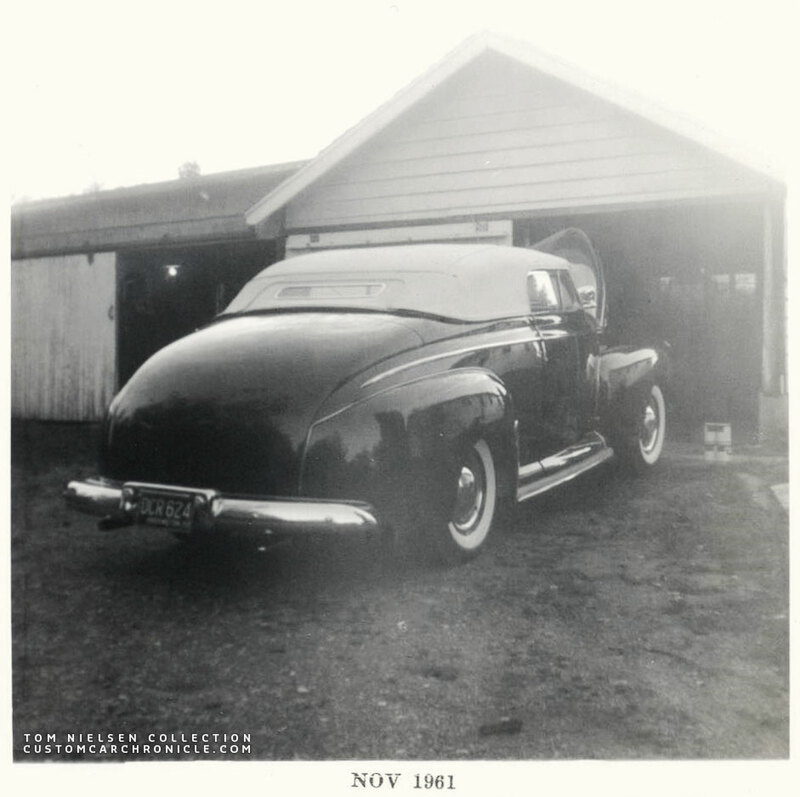 Mr. Bedell had both the means and the vision to bring the car to the next level. Bedell had a car collection at that time that included some very nice hot rods and sports cars. He belonged to a car club known as “The Accelerators” and his cars were always of high quality. 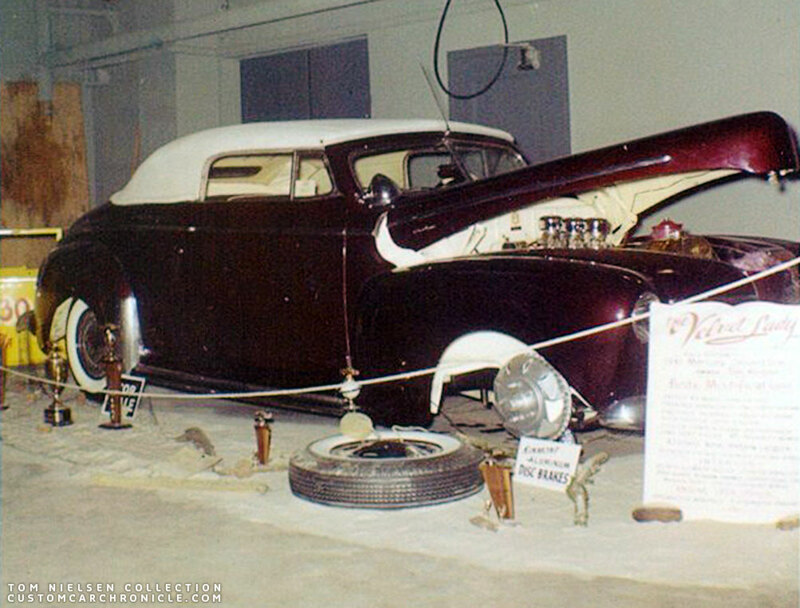 When Roger got possesion of the ’41 Merc he had a good plan for redoing the “hometown custom”. 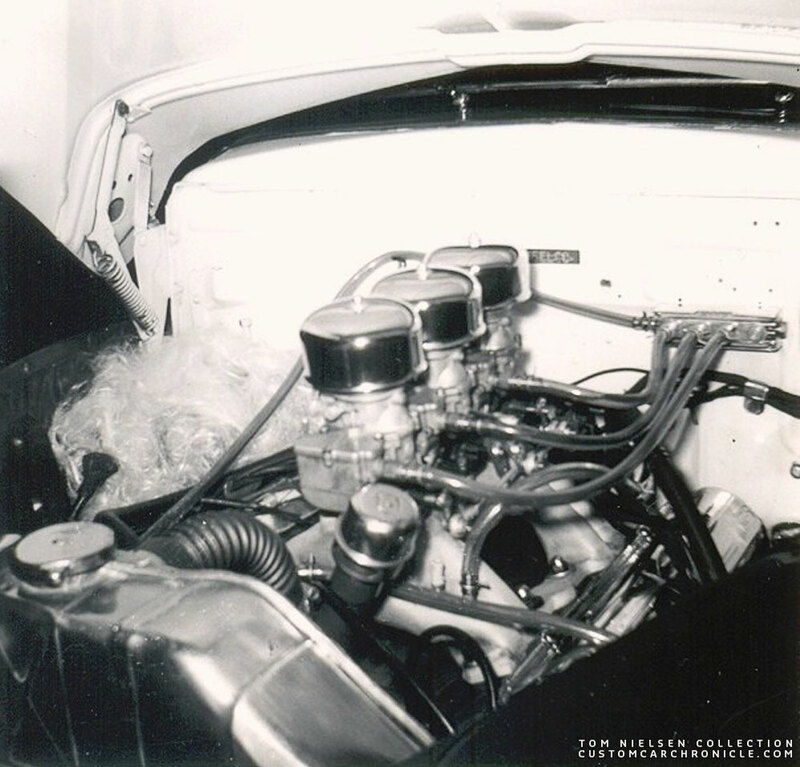 The car was taken to Jack Conner’s Speed Shop in Seattle and a ’53 Cadillac motor was put in to replace the aging flathead. 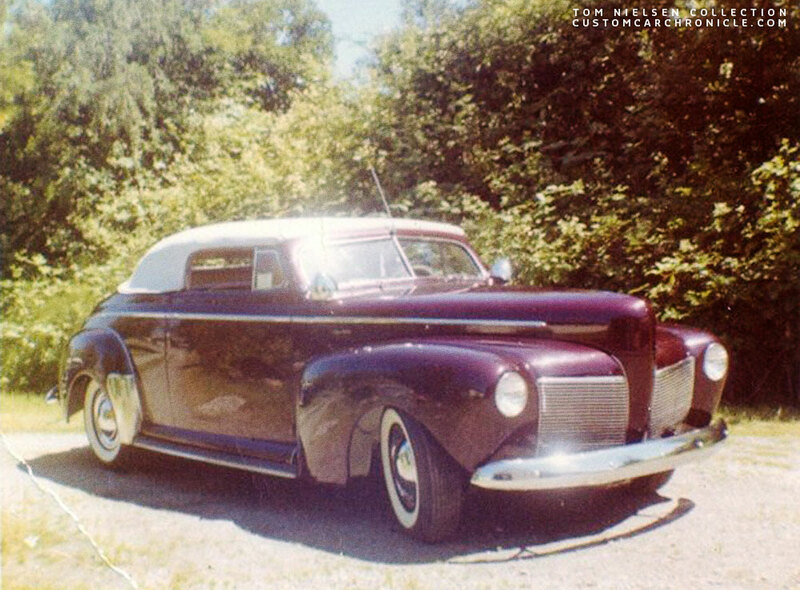 After this was completed the next stop was Cy Richard’s body shop in Everett for a very high quality, multi coat Buick maroon lacquer paint job. They also discovered a chromed dash hidden by paint and carefully removed the paint. The plastic trim on the dash was done in maroon to match the exterior. Cy and Bill Richards also got rid of the Pontiac taillights and put motorcycle lights by the rear license frame. 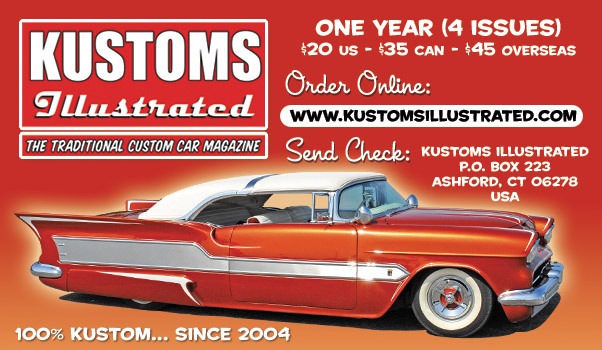 Roger made some other upgrades and got the Mercury full custom ready for the local mid- fifties rod and custom shows. The Accelerators put on a couple of Everett car shows in conjunction with the Headers from Seattle. Roger showed the car and kept it in pristine condition while it was housed with his other cars in the collection. Eventually, his younger brother Bob Bedell bought the car from him. Bob had the car for several years and also owned a “cherry” Cad powered 1933 Ford coupe. The convertible had a four barrel carb on its Cad engine, while the ‘33 had six Stromberg carbs. Bob was an avid hot rodder and would take his ’33 to the Arlington drag strip and the ’41 Mercury to the Seattle area car shows. One of my more powerful, vivid car memories is going with a friend to Bedell’s house in Everett about 1958. 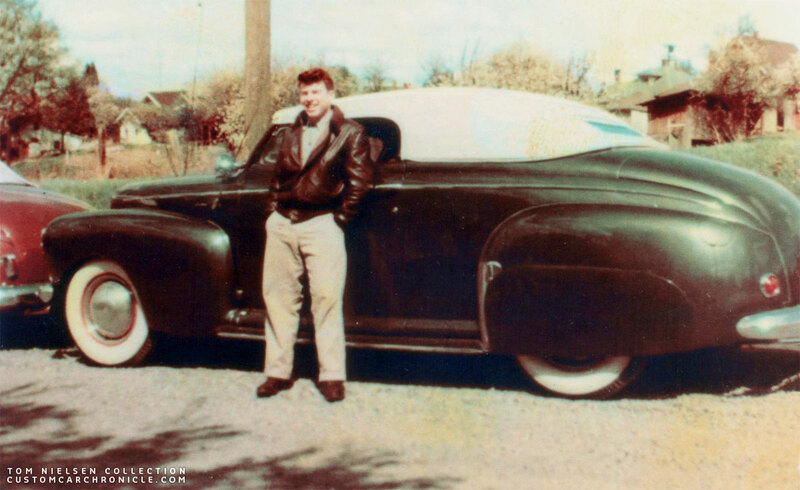 He took us out to the garage where the hot rod coupe and the full custom convertible were parked side by side. It was an over the top experience for a young car crazy teenager. Little did I know then that I would eventually own the ’41 Merc. The next owner was Rod Mckenzie who was a body and fender man at Schultz Auto Clinic. My brother worked at the body shop part time so he knew Rod and knew about his Mercury. Rod’s family was growing fast and so he only owned it for a short time before deciding to sell it. That was about the time I turned sixteen and had a burning desire to use my paper route money to make the $850 purchase in April of 1960. 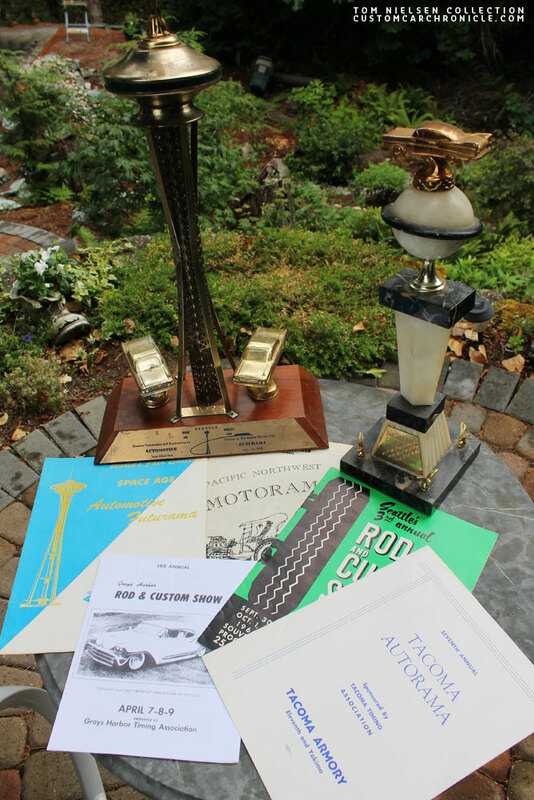 The story of my ownership and car show experiences can be found in my CCC “Angel Hair” story. 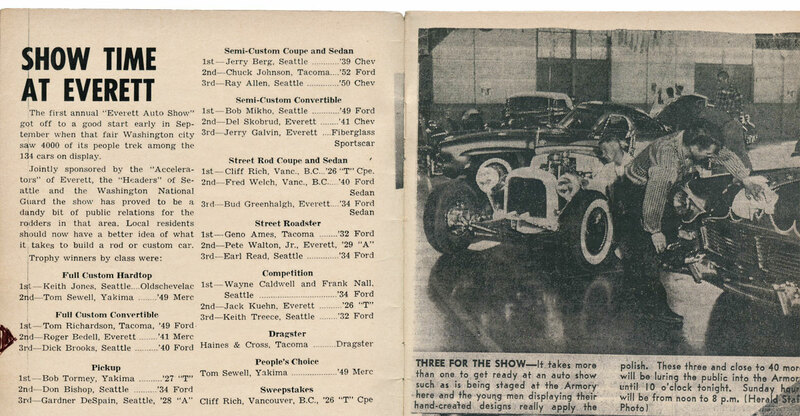 Tom’s first show at Seattle Rod and Custom Show 1960. Lots of nice details make a classic interior. Notice the liberal use of chrome with the black and white rolls and pleats. In front of Tom’s parent’s garage. This shot shows off the smooth rear fenders and motorcycle taillights. 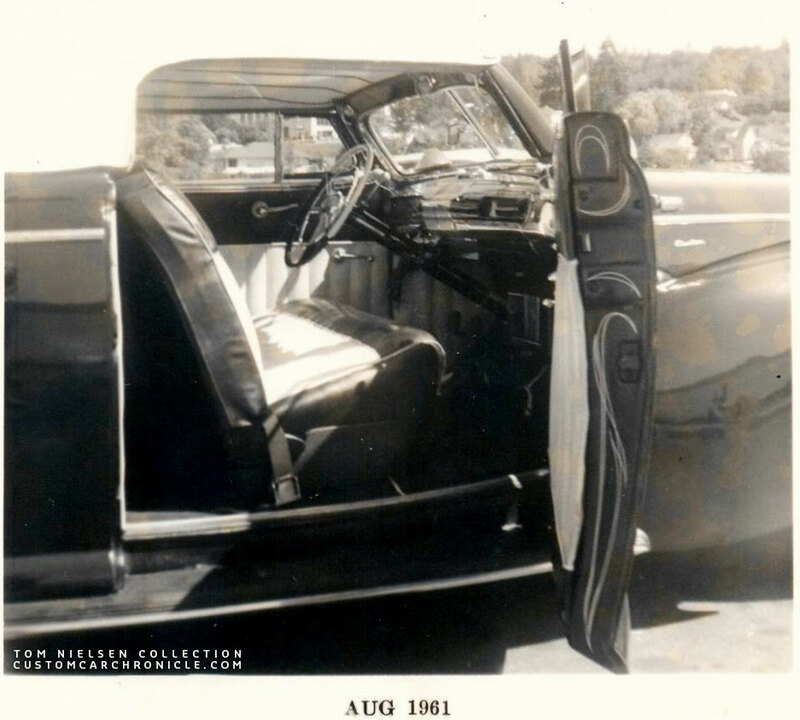 My only concession to 60’s trends was to add pin stripes to the door jambs. In our driveway after I installed a dropped front axle in 1962. When I sold it in the summer of 1962 another Everett man just getting out of the service and bought the Mercury custom. He planned to use it for his main car and it wasn’t really suited to that use. Even I had a second car in high school and had not driven it too much. 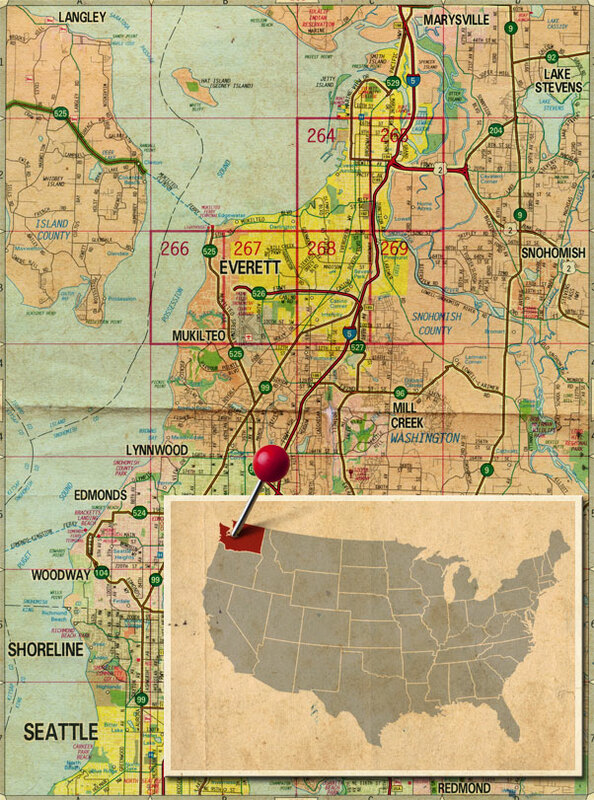 Where the ’41 Mercury was last seen in Everett about 1963. I only saw the car one more time when he was driving it. He must have decided to trade it in for a newer car. 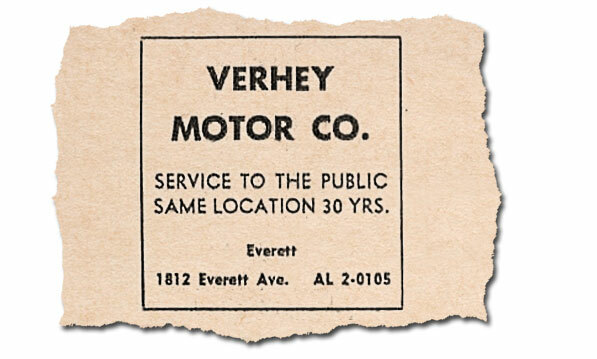 My friend told me that he saw it early in 1963 on a used car lot at Verhey Motors in Everett. From that point I have no definite idea where the classic custom ended up. Although I recently met another Everett guy named Bob DeYoung who was a fan of my old Merc. According to Bob he saw the car behind a house in an Everett suburb about 1980. He said it had been sitting outside for years and looked bad, but he was positive that it was the car that he had “lusted” after when I drove it to Everett High School back in the day. Bob said that he went back several years later to check on it and it was gone! 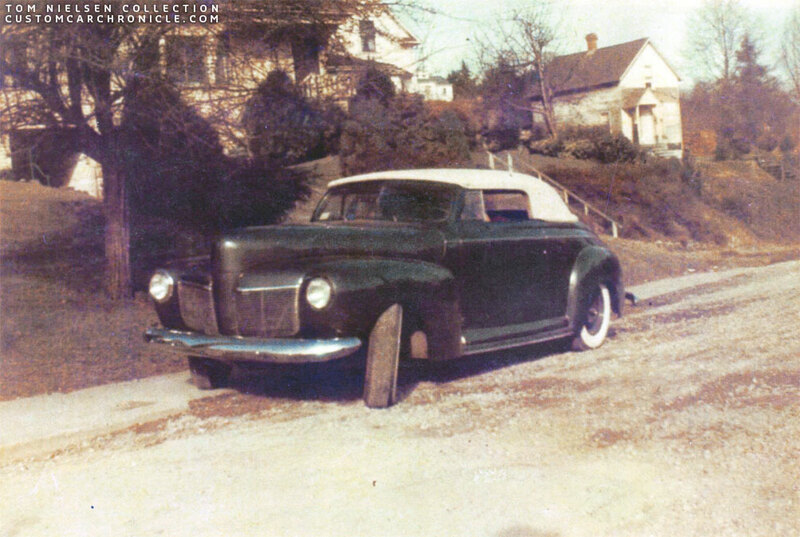 The owner of the house had moved and there was no trace of the ’41 convertible. I haven’t been able to confirm that story but it sounds logical. Maybe someday I will find out that it still exists as a “hometown custom”! Tom’s 41 Mercury in his 1961 High School yearbook. 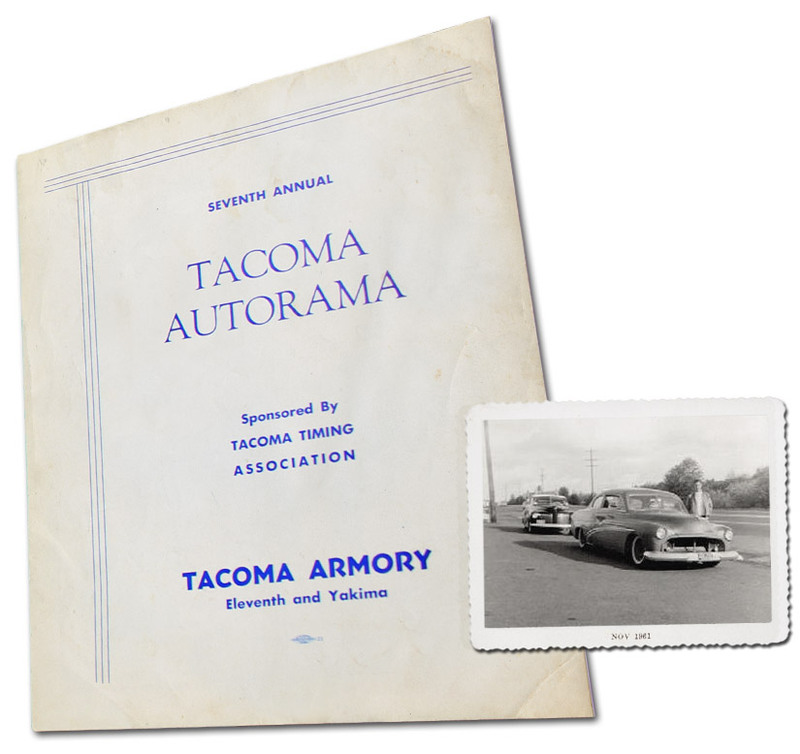 The small snapshot was taken with Doug Mumaw, my high school buddy, and his custom ’50 Merc as we were heading to the Tacoma Autorama in 1961. The ’50 Merc was our transportation while my Merc was in the show. 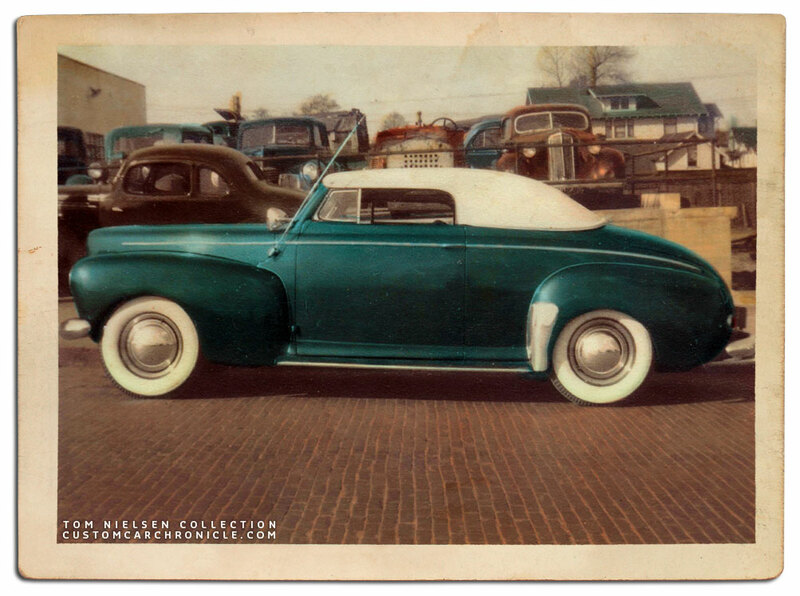 I have noticed recently that more 1941 Mercurys are turning up on the scene as older car guys let go of a project that they stuck away years ago… I know that there is an interest in building these good looking cars as traditional custom. I hope this story gives those folks some ideas or inspiration. Home of the Mercury convertible probably from 1941 to 1963! 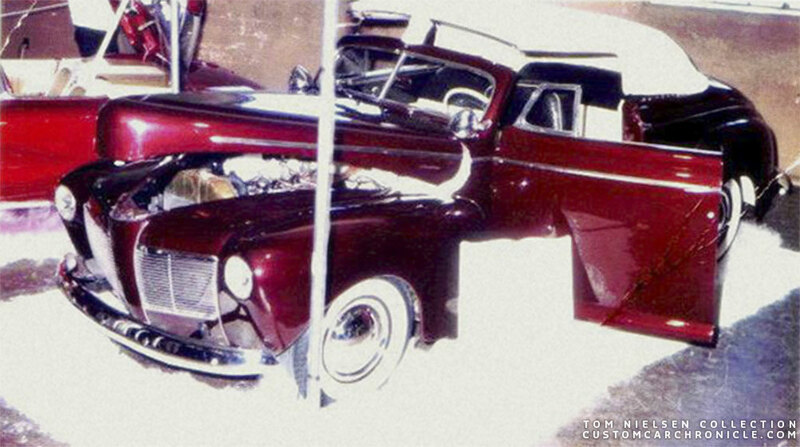 1955 Roger Bedell bought the car he did a complete overhaul, installed a ’54 Cadillac motor and repainted the car in Buick maroon. Around 1956-57 Bob Bedell (Roger Bedell’s younger brother) got the car. Summer of 1962 John Orberg sells the car for Tom to man (His name was forgotten over the years) just getting out of the service. Great Car. Great story and really great memories Tom. 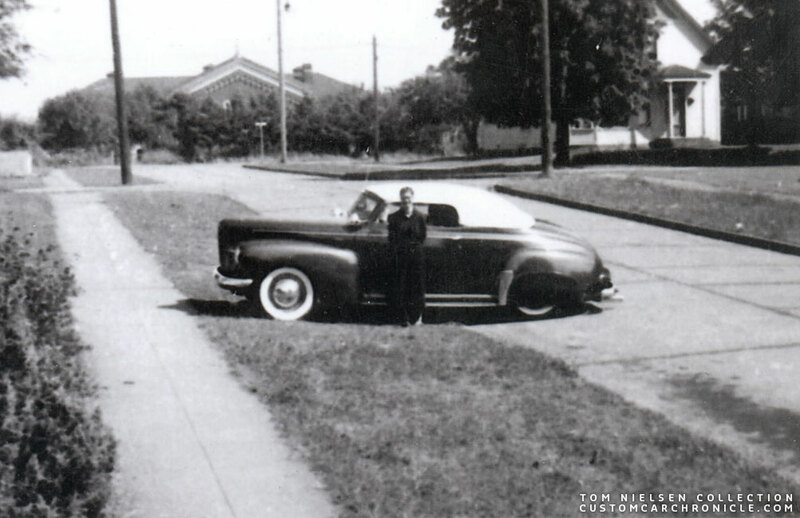 Thanks, Tom, for taking us back to those days, with such a car! I’ll bet you turned heads daily when you tooled into the high school park lot. Maybe this story will lead to solving the mystery of whatever happened to your Merc. Good luck. Wow, what a neat story. 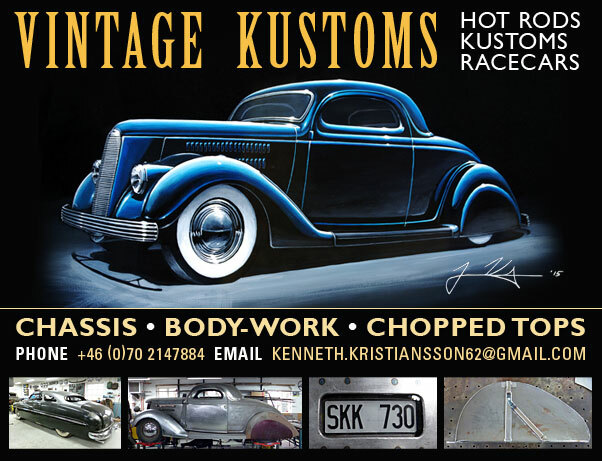 Fantastic looking kustom. Thanks for sharing such a terrific story Tom. It’s no wonder so many lusted after that Merc; it beautiful!